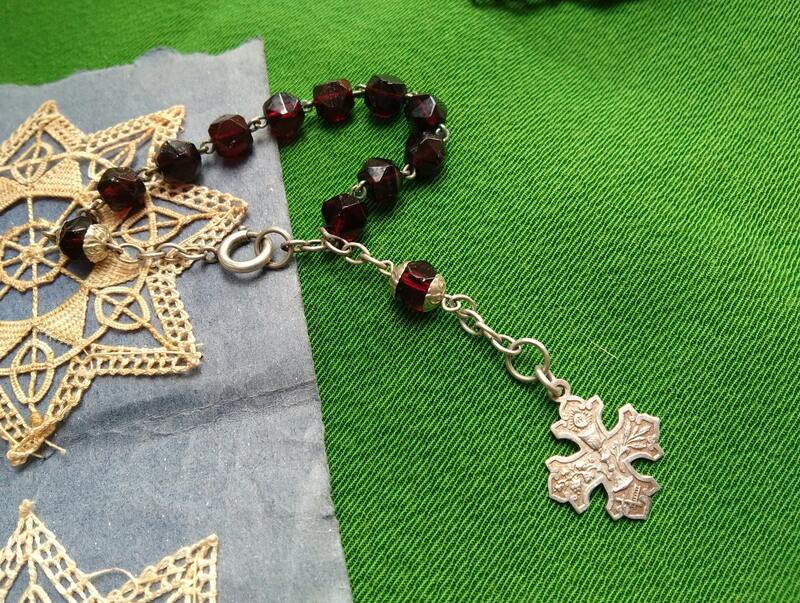 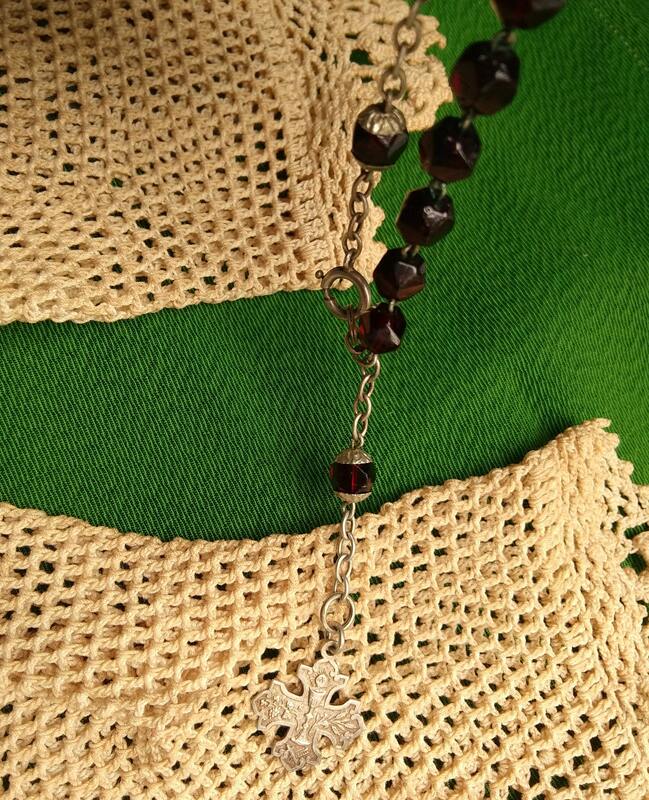 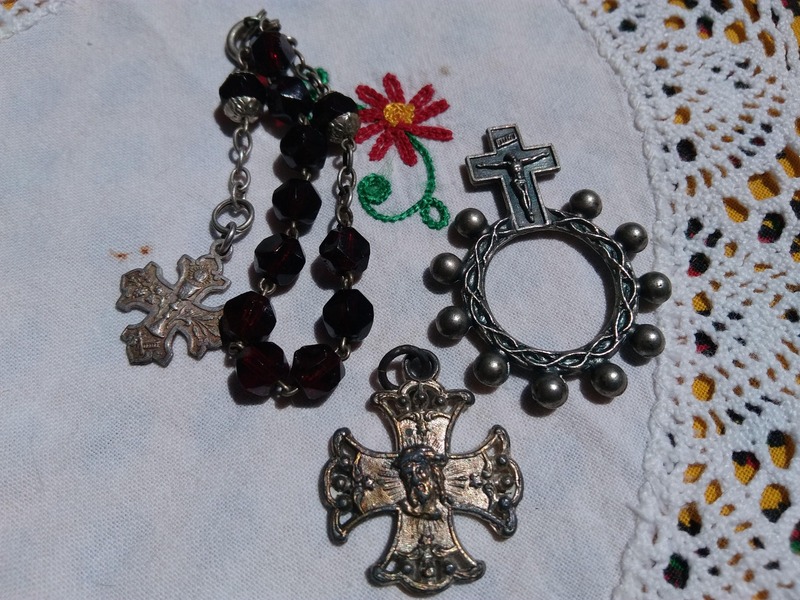 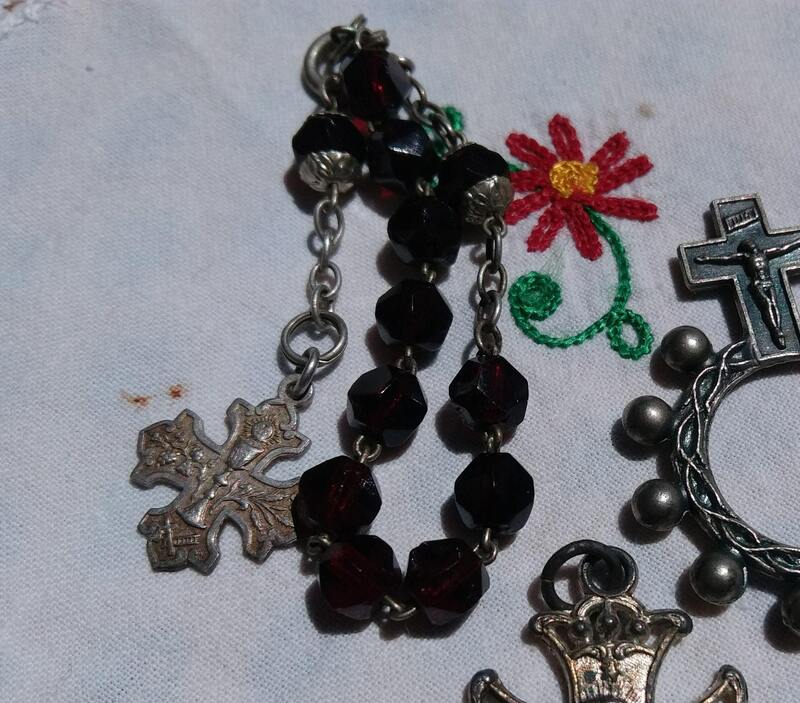 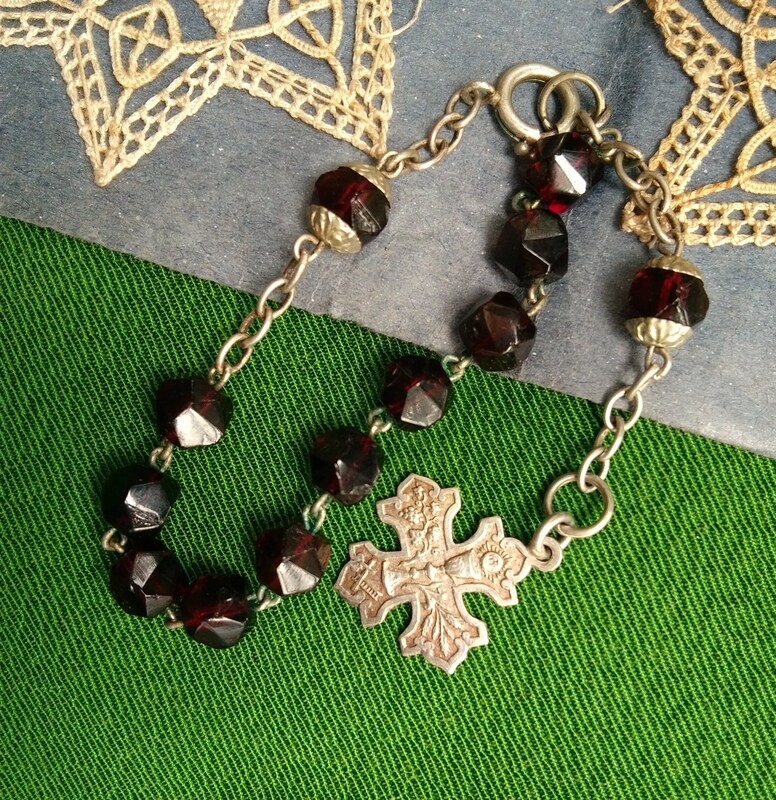 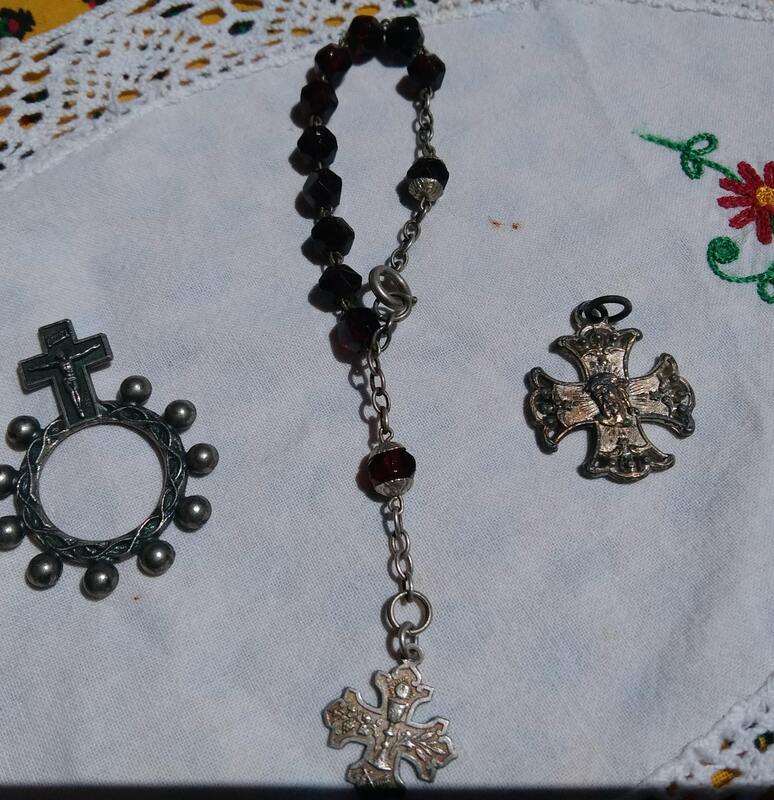 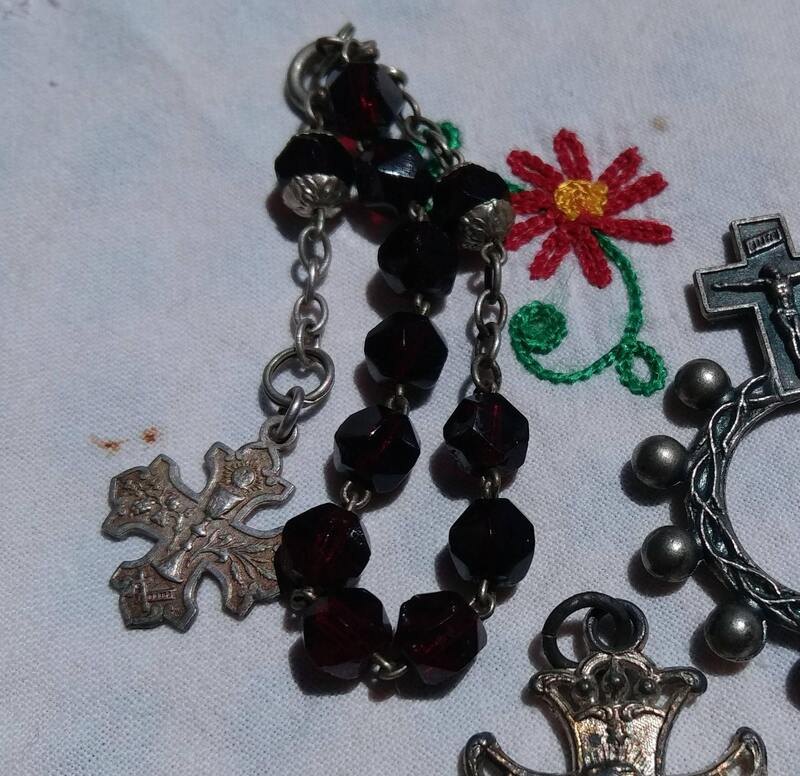 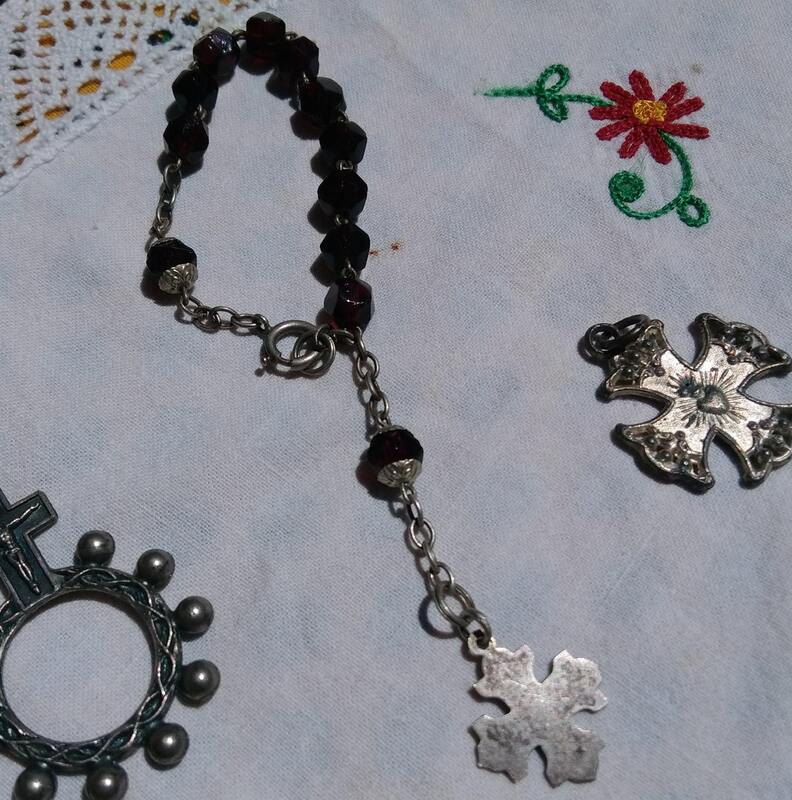 Antique French red cut glass Decade Rosary with Silver Chain and Chalice Crucifix. 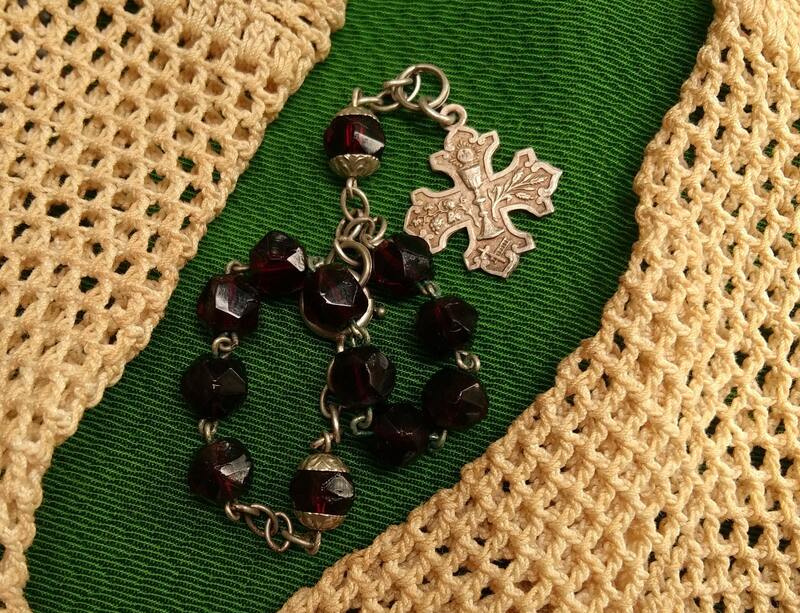 Gorgeous French Religious Souvenir . 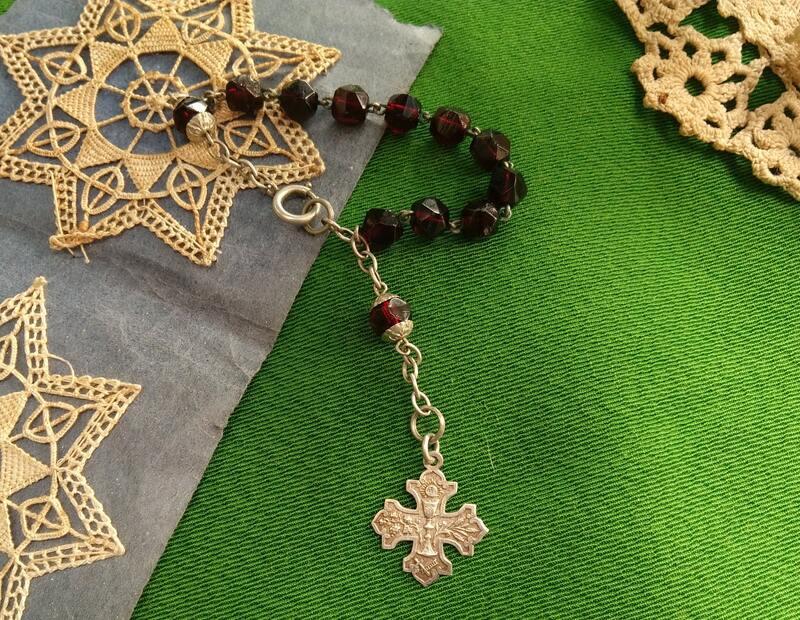 Free shipping.1 week delivery from France to the US.